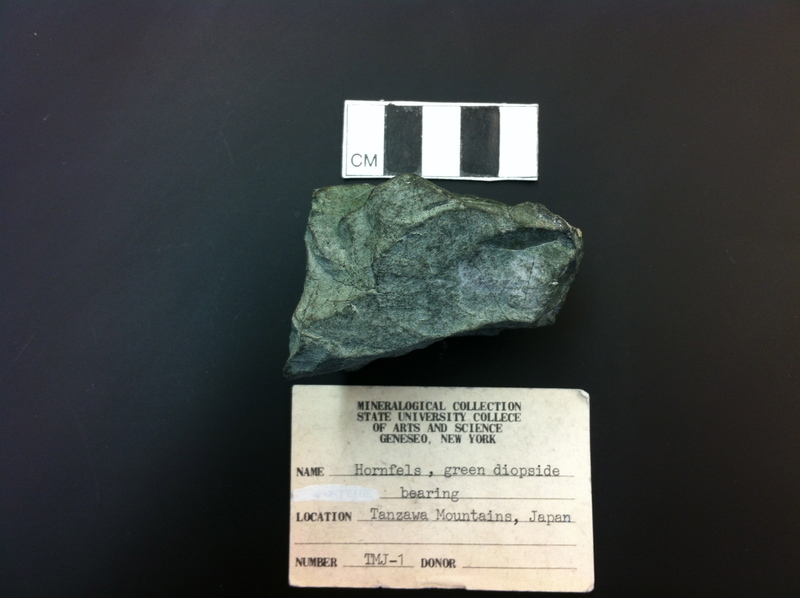 The sample is metamorphic. 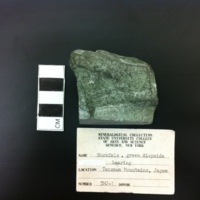 It is green to light-green in color. 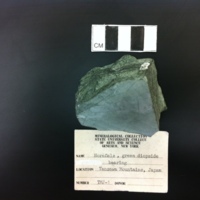 There are very course grained tabular zones of metamorphism (12x4cm) and light to dark layering with non-uniform shapes and patterns. The grains are aphanitic. 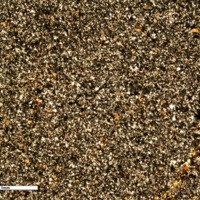 The majority of the sample has an overall smooth texture. 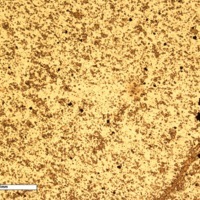 The thin section has small vein-like fractures filled in by larger quartz crystals.There are some fractures that are not filled in. It is Quartz-rich, though the size of the quartz crystals are small. 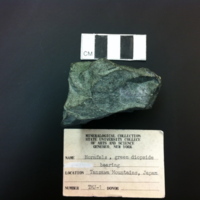 “Hornfels, Green Diopside bearing,” Geneseo Geoscience Collections, accessed April 25, 2019, http://www.geosciencecollections.milne-library.org/items/show/332.